You can download translatable file using the Download source file action in the Files menu. This will give you the file as is stored in upstream version control system. For some formats you can also download compiled file to use withing application (for example .mo files for GNU Gettext) using the Download compiled translation. Weblate accepts any file format it understands on upload, but it is still recommeded to use same file format as is used for translation, otherwise some features might not be translated properly. 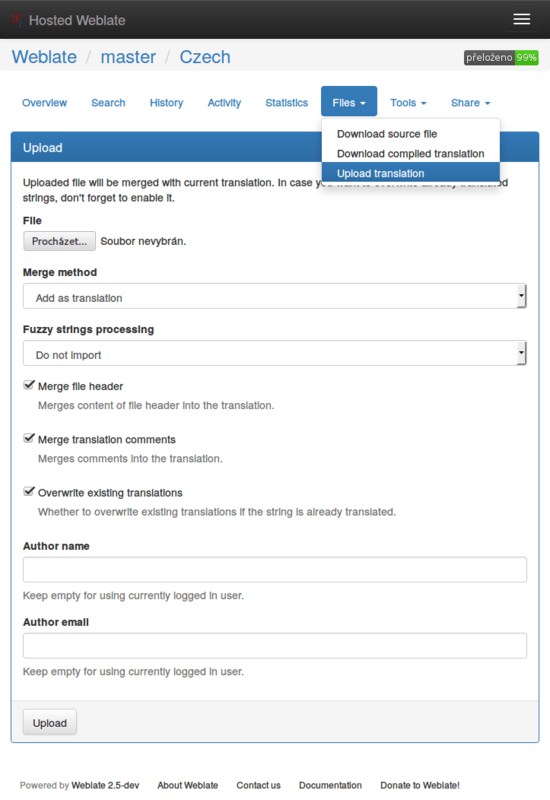 The uploaded file is merged to current translation, overwriting existing entries by default (this can be changed in the upload dialog).